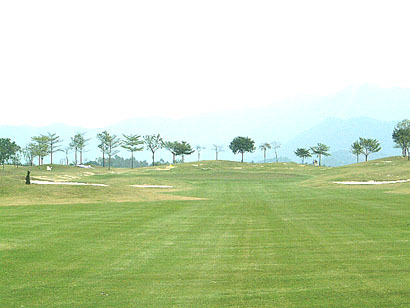 A nice & generous fairway. 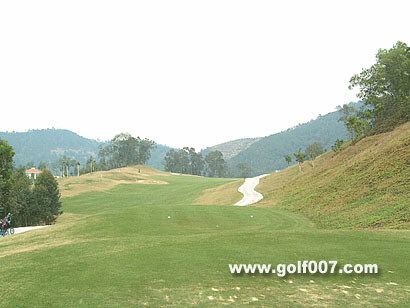 This is a fairly simple par 4 going down slope. 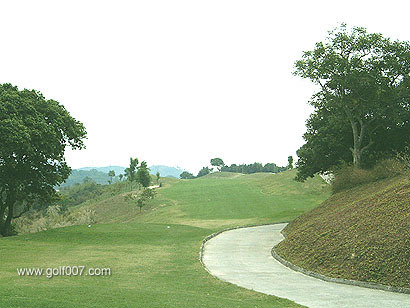 This hole is a slight dogleg right, the tee shot is downslope but the 2nd & 3rd will be going upslope. 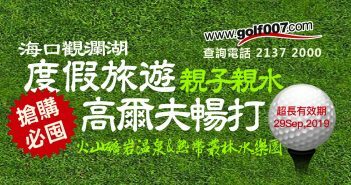 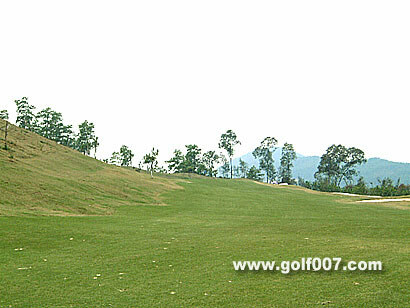 This medium length par 4 requires a good drive to land on the narrow fairway, the 2nd is a blind approach to a severe downhill green. 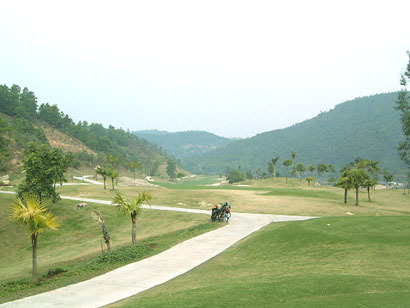 A big downhill par 3. 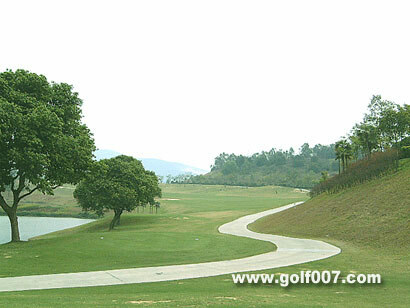 A slight dogleg par 4 to the left, the approach is upslope. 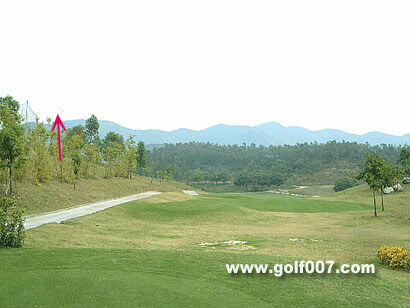 the 2nd should land somewhere here, you can cut the corner by aiming to the left or just lay up. 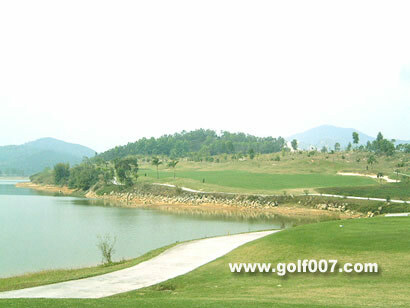 A downhill par 3 island green – nice view here. 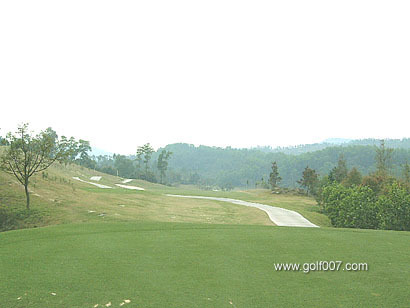 The finishing hole – a dogleg left to a slightly elevated green. 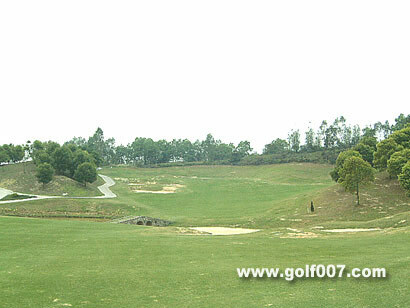 This is a dogleg left, tee shot is slightly downhill to the fairway bunker, the 2nd is uphill. 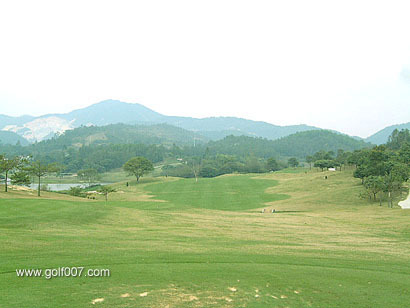 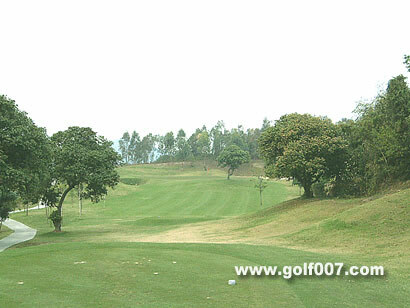 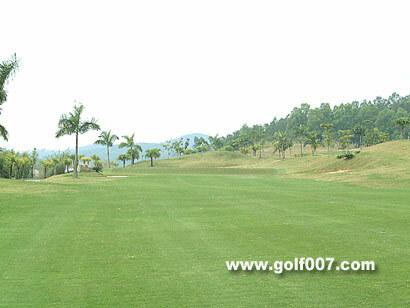 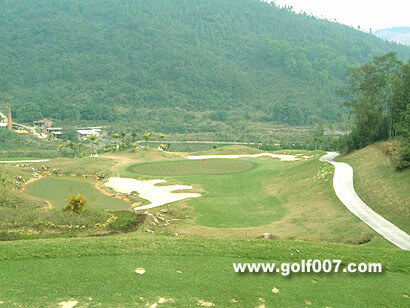 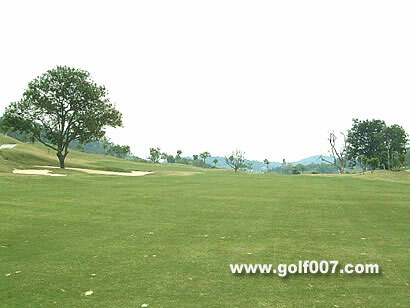 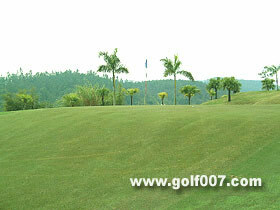 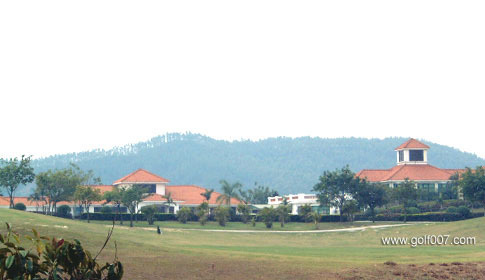 A downhill long par 3, the front right of the green is guarded by a bunker, aim to the left for safety. 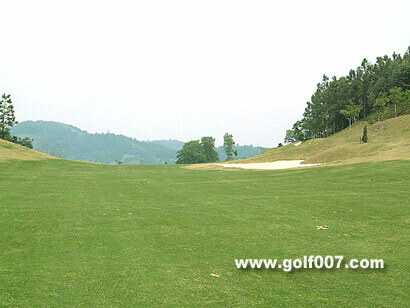 This is one long & tight par 5……O.B. 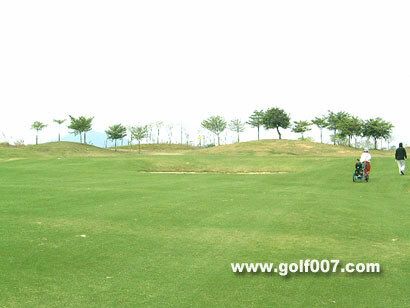 on either side of the fairway. 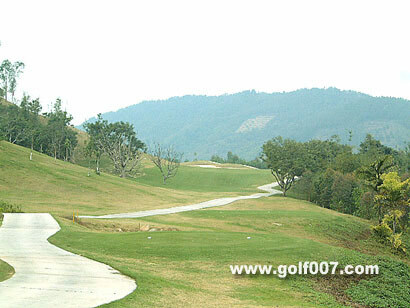 The tee shot is hitting downhill, the 2nd will be going back up the slope. 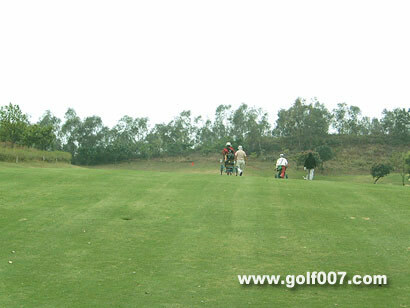 This is a tough hole, aim to the right a bit to cut the fairway, the approach will need to carry the small channel in front of the green. 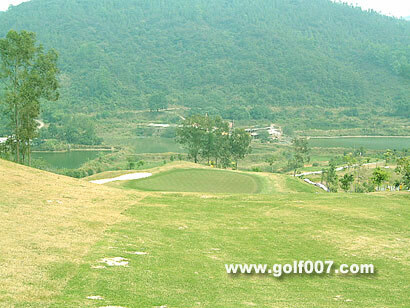 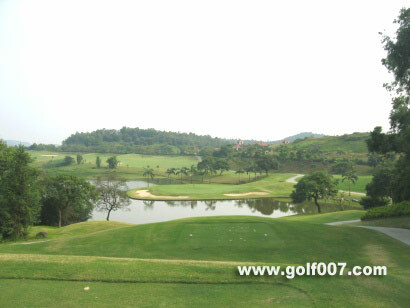 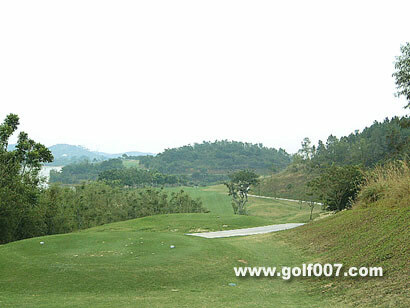 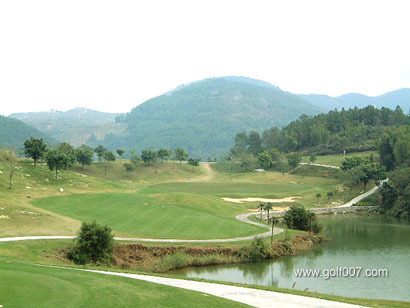 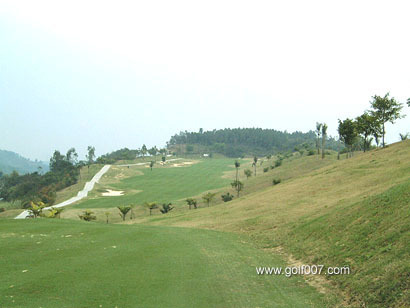 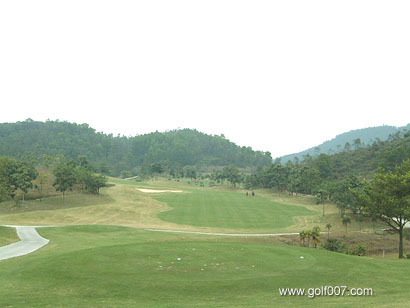 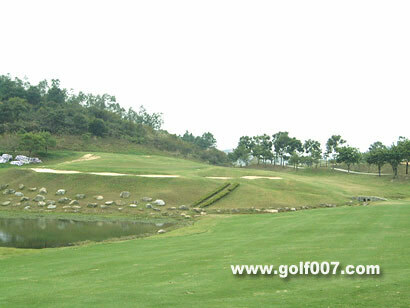 This is a short straight forward par 4, the easiest hole on the course. 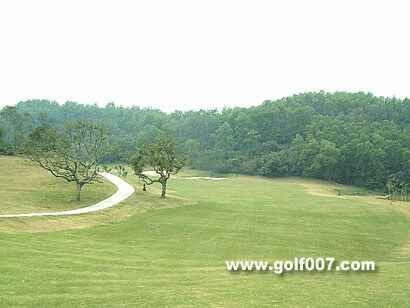 A slightly down slope par 3, watch out for the tree in front & on the right of the green as it will block your approach to bounce it back to the fairway! 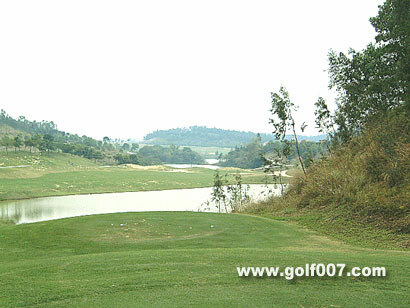 Another short dogleg left par 4 but this one needs to carry the water in front of the tee, the green has two levels, you will need to land the approach on the right otherwise, 2 putts will be difficult. 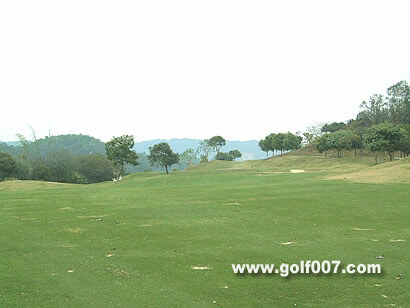 A big dogleg left, for the bold & longer hitter (220 -230) yards can aim where I marked the arrow & reach the green. 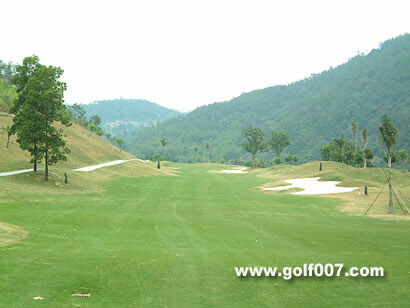 Otherwise, play safe & aim straight downhill in 2 shots.